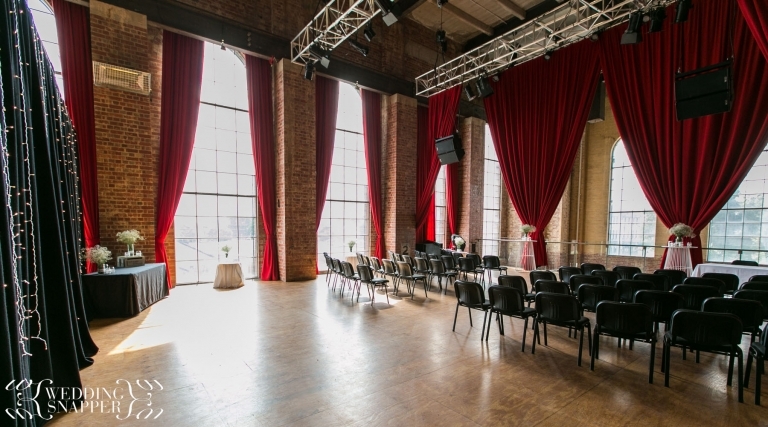 Looking for a ‘blank canvas’ wedding venue in Melbourne? Are you looking for a ‘blank canvas’ venue in Melbourne in which to hold your wedding ceremony or reception? The Substation in Newport is a recent addition to my list of interesting and alternative wedding venues in the Melbourne region. Of course, there are loads if you start to look, but the same old wedding venues seem to keep getting booked up year after year. Come on people, live a little! As the name suggests, this building was an electricity substation in a former life and still sports a huge hall like interior, which is often used for live music, art installations and cultural events. Not forgetting the occasional farmers market in the car park – it has something for everyone! The exposed brick interior, graffiti and huge windows make it a really impressive space with plenty of natural light. Great for wedding photography, plus you don’t even need to leave the building as there are loads of options for photos ranging from the upstairs dance studio to the cavernous basement and huge floor to ceiling windows. The photo above shows the main hall split in half with the room set up in preparation for a ceremony, but the space seems pretty versatile so it could be configured to meet individual client needs. If you’re thinking of hosting a wedding at the Substation or need some suggestions for other recommended wedding venues around Melbourne then please feel free to get in touch as I’m always happy to offer suggestions. Click here to chat about your wedding photography plans.